Two alarm bells (for local working). 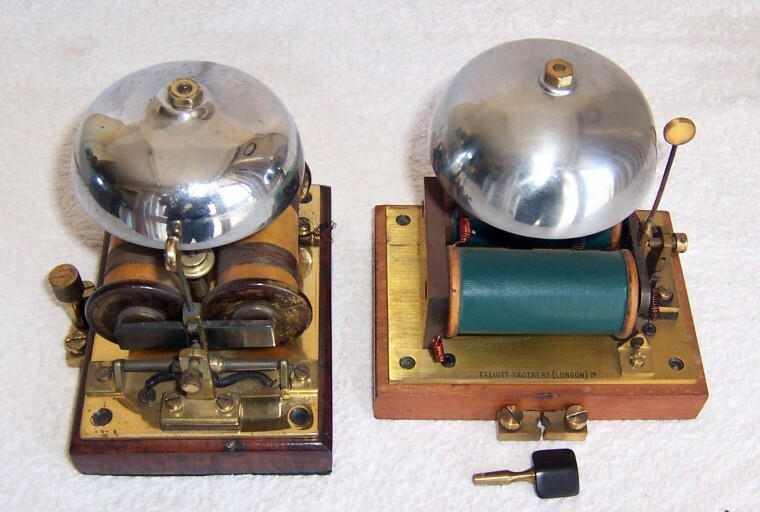 The one at the left manufactured by Elliot Brothers (London) Ltd. Both used by the Uruguayan Railways.